On Saturday morning, a police dog named Rumble was kicked in the head after he and his handler went in search of an offender in Como. Police were called to a South Terrace house after a report of a burglary where the intruder was still on the premises. Rumble and his handler then searched for the intruder who had run into Alston Avenue. As they rounded the corner, the man was waiting for them and kicked Rumble in the head, stunning him. His handler then subdued the man using pepper spray and he was arrested. Although stunned, Rumble was unhurt and remains fit for duty. On Saturday night, a 28-year-old man woke up in the bedroom of his Kensington unit to find two males standing near the door of his room. One claimed he had a firearm and demanded the victim hand over his keys and other valuables. The victim showed them to his vehicle, which was parked on the verge, and then ran from the offenders. He jumped a back fence and alerted people at a house in Berwick Street who called police. The first offender was described as having a dark complexion, 172cm tall, unshaven, wide-set eyes, dark curly hair, wearing dark jeans, dark- coloured jumper and a towel draped over his head. Belmont Avenue was closed between Laurie and Elizabeth streets on Sunday morning after a hit and run incident. 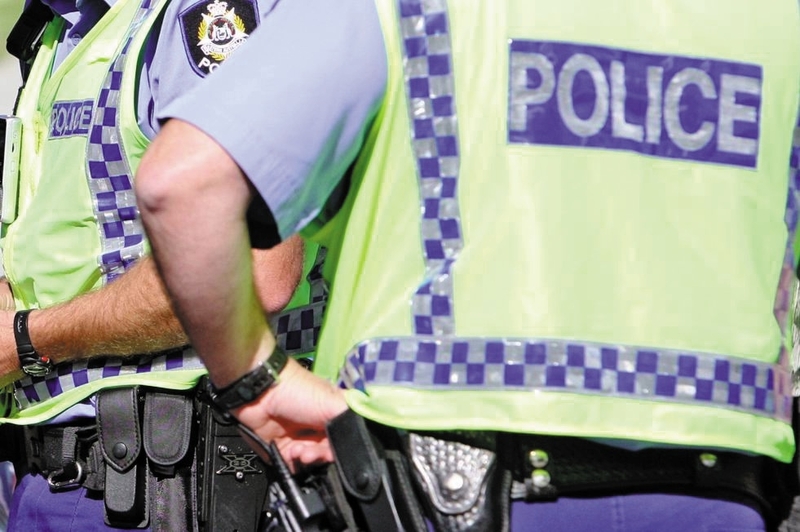 It is believed a man was hit by a car after an altercation with another motorist. And yesterday morning, Albany Highway between Hill View Terrace and Welshpool Road was blocked in both directions after a suspicious fire damaged a kebab shop and two adjacent businesses in an East Victoria Park shopping complex. Believed to have been deliberately lit, the fire was being investigated by the arson squad.